Vehicle layout restored to pre-v0.6 state. Ships' respawn time increased to 6 minutes. Removed death zones at Allied base. Moved American fleet and spawnrotator planes closer to the Japanese base. Churchill Kangaroo in Russian main base does not respawn once the flag is capped by Germans. Moved plane spawnpoints at the last flag, so they don't explode immediately after spawning. Increased time needed to capture flags from 10 to 15 seconds. Additional Typhoon w/ rockets kit, which spawns near a pile of barrels at British main base. What is the problem with flag 2 on Battle of Foy? Neither Allieds nor Germans can take it once it was greyed. Another thing: is it somehow possible to add smoke grenades to the Nahverteidigungswaffe on German late war tanks so that one can switch between HE and Smoke? That would be an easy but realistic feature. Another thing: is it somehow possible to add smoke grenades to the Nahverteidigungswaffe on German late war tanks so that one can switch between HE and Smoke? That would be an easy but realistic feature. I found it cool and I agree. Is it possible to fix the bug where you as an axis player spawn in allied main? I actually made a fix back in October 2017, but then succesfully forgot about it, uploaded it now. As for tickets, I increased them by 150% (both on Desert Rose and Edson's Ridge), does that sound fine? This is impossible to implement via SSM, the only closest thing would be to replace the Nahverteidigungswaffe HE projectile with smoke grenade, but then it will require modification for each map. Quote Radio: "I actually made a fix back in October 2017, but then succesfully forgot about it, uploaded it now." "As for tickets, I increased them by 150% (both on Desert Rose and Edson's Ridge), does that sound fine?" "...the only closest thing would be to replace the Nahverteidigungswaffe HE projectile with smoke grenade, but then it will require modification for each map." No, that would be bad. HE and Smoke should be both available. If that's not possible, let's leave it like it is. ??? Could you explain that a with a bit more detail so somebody can understand this? Why can nobody cap the flag ? What should the ssmer do exactly ? Allies have at least 2 Gaz jeeps spawning at the main. Is it possible to bound the Tiger or Ferdiand spawners to some of the Russian flags in the south as counterspawners? That way allies wont have to fear the constant respawn of these baddies if they are already trapped inside the main. For example if axis capture the hut flag, the Ferdi stops spawning. Is it possible to decrease ammunition amount of weapons via ssm within the ObjectSpawnTemplates.con ? That's at least how I always did it in my mapping projects. That way excessive camping of soldiers is a bit more limited. Hi guys. My question is about japanese battleship Kii (super yamato). That ship was only in Monster des Stalhes map in last version 0.552. Question is can we get it back to FHSW 0.61 in some naval map like maybe in leyte gulf day 2 or something? It was one of those super rare weapons in this mod and I got very sad when it got removed when update came. Don't you forget the other carrier and the LCT which can do a landing anywhere on the shoreline and spawn tanks (I think that there was a Churchill or a Matilda II)? Vessels can also attack units on land and in the air. I disagree about removing any vessels. If you think that the naval aspect of the map is relatively unimportant, why not make it more important, rather than completely unimportant? Why not, for example, increase or improve the landing ship(s) and perhaps spawn them faster or closer to the east side of the mountain where the tanks can flank? Or add a ship with better AA (such as Lance) or one which is harder to kill by the Stuka? Or spawn a Mark V AA on a LCT? The extra allied naval strength could be balanced with more or faster spawning axis vessels. The suggestions about the other maps seem OK to me. I also think that the Naval aspect of the map is redundant because the sea area is very small and there is not much space to maneuver. I agree to remove most naval vessels and the carrier should be immobile. Don't remove the naval vessels man it's a refreshing map, where you can play both things naval or land, and I know the naval battle doesn't really contribute to the objective of the map. But it's great for players who like naval like my self and that the option is there you can choose not to participate in the land battle. how about moving one of the flags into the ocean it will give it a Midway idea and feel, actually making naval a important part of the map. currently on the map battle of foy allies can neutralise flag 2 but they can't capture it also the Germans can't capture the flag back again, this basically brakes the map. As far as I remember that battle of foy has a very quick flag cap time on flag 2 but has a bigger flag zone for defending but causes issues with pre capping flag 3. I mistakenly edited the wrong flag (supposed to be last one), should be fixed now. Hmm, where did you find 2 spawns, there is only one spawner in the files? I've tried to edit ObjectTemplate.numOfmag, but it didn't have any effect. That can be changed with SSM, I'm afraid, although I can replace it with a generic one from game archives. So, what is the consensus on that? Seems like the opinions are split roughly in half. Ferdinand spawn is now attached to the hut flag, so once Germans cap it, it won't respawn anymore. There are the uprooted, overturned tree objects which are bugged and cause problems on other maps too. When you bump into them with a vehicle it tends to explode way too easily. It happens too often. I've noticed this, too. This can't be fixed map-side though, the collision meshes in standardmesh.rfa have to be replaced. I'll check if this is possible as a ssm. Should be fixed now, for all maps not just Bastogne. Could you please restore this SSM? Maybe it's in the form of just an extra file like "standardmesh_002.rfa" that you can add directly to the current version? Edit: also perhaps the FHSW developers would be interested to add this fix in the next version of FHSW, so it would be nice if the file is open source, or at least shared with them. Quote Radio: "So, what is the consensus on that? Seems like the opinions are split roughly in half." I suggest to leave the naval layout as it is but immobilize the carrier. On Monday we played Arctic_Convoy-1942_mod and MAJORMASTERBATES got one Liberty ship to the other end of the map, spent about a minute inside the circle and nothing happened. Since we didn't know why the round hadn't ended yet with allied victory I suggested him to go forward. He did and still no allied victory. The ship exploded and the round ended immediately with axis victory (I guess axis team wasted their time sinking all the empty ships before that). There's something wrong with the victory conditions. The way I see it the allies should need to just sail anywhere into the marked area (circle or whatever) without having to stop or do anything special and the round should end immediately with allied victory. I think that the map should be modified to fix this. Perhaps it can be done server-side? Also, about @Endless_Nameless's old bugfix SSM that I mentioned just above, I really think that it's important! On Monday we played Arctic_Convoy-1942_mod and MAJORMASTERBATES got one Liberty ship to the other end of the map, spent about a minute inside the circle and nothing happened. The radius is pretty small, you have to be very close to the center of the circle. Did you do that? I've found out what I did back then, will try to do it on weekend. Realistically convoys did not need to go to a certain point to be considered relatively safe - they only needed to reach a wide area that was well covered by short range ground based aircraft and coast guard vessels, or to rendezvous with escorts. You cannot expect the Liberty ships to maneuver to a certain super small area (effectively a point) at the edge of the map while trying to evade torpedoes and bombers, and without even any good marker for where exactly to go. With just one point there can be many potential problems, such as submarines ramming the ship with just enough force to push it off course, or blocking the way to the point to slow down arriving ships; or players aiming torpedoes by minimap at the known point and launching from a great distance to hit the Liberty ships which may be spending a lot of time in a small area, trying to maneuver, etc. I think that it should cover an even wider area, perhaps all the way from the north to the south edge of the map. Good suggestion. 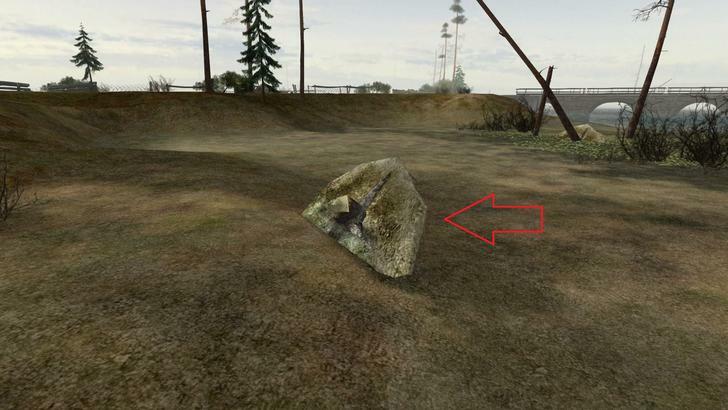 It's tricky in BF1942 because you can only work with spheres and not a box shaped objective but I have an idea. Not sure if this can be done via ssm though. Iirc there was a technical issue, that's why I made the radius so small but I can't remember it anymore. Edit: I got it working: Liberty ships just have to reach the east of the map anywhere and Allies win. Tree issue: I've send the files for the tree fix to bubu because he has to restart the server to be able to overwrite the existing files. Here's what causes the issue: The collision mesh of the tree called finnstump3 (picture: https://i.imgur.com/SPJNaIVg.jpg) has value "1" which means it has the same properties as water. That's why vehicles take a lot of damage even when you only touch the tree. I've appended the fixed file. btw. surprisingly this is a FH bug and not related to FHSW.